Life gives many gifts, but not all stay with us. 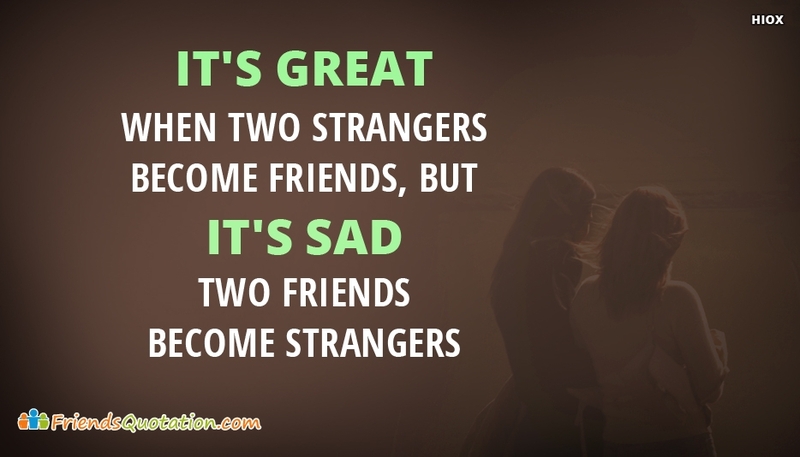 Sometimes we miss our best and dearfriends very unfortunately. Sometimes we do not know that the last time we saw our dear friend is going to be the last time we saw him/her. You could find here the friendship quotations such as "In The End, We Will Remember Not The Words Of Our Enemies, But The Silence Of Our Friends", "It's Great When Two Strangers Become", etc. Use these friendship quotes for missing friend pictures as your messenger of love for your missing friends. 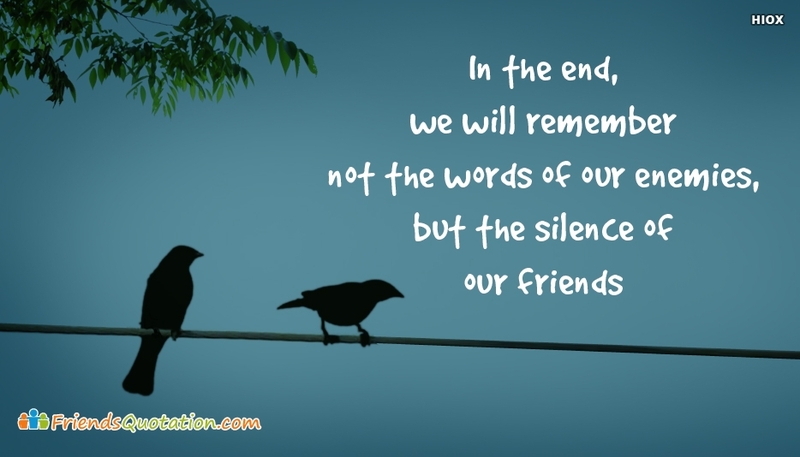 In The End, We Will Remember Not The Words Of Our Enemies, But The Silence Of Our Friends - Martin Luther King, Jr.